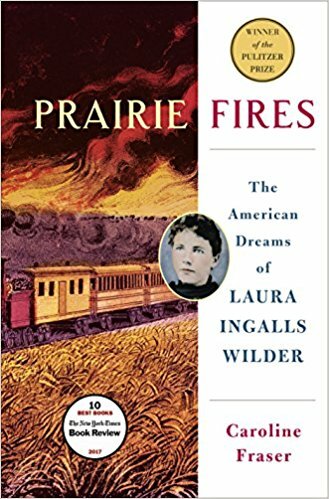 Review: "Prairie Fires: The American Dreams of Laura Ingalls Wilder"
At least half of this biography about a complex family during a fraught period in American history centers around the co-dependent and tempestuous relationship between Laura Ingalls Wilder and her daughter, Rose Wilder Lane. 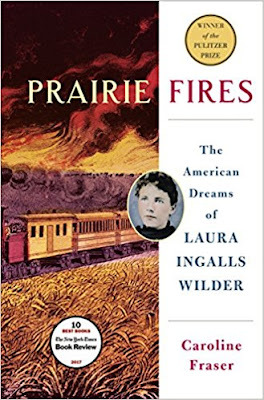 Lane's unbylined authorial partnership with her mother — forged despite Lane's narcissistic, attention-seeking tendencies — led to the publication of the Little House novels during America's Great Depression and Dust Bowl. As soon as the chronology of the biography shifts to Lane, she steals the show with her bizarre behavior, exhibiting mood and personality swings that worsen as she ages, and which, to me, sound like untreated bipolar disorder. Lane got her start writing yellow journalism — not even bothering to conceal that her work was either fictionalized, plagiarized or flat-out false — as well as unauthorized and wildly inaccurate biographies of celebrities such as Jack London, Charlie Chaplin and Herbert Hoover. Around the time of WWI, Wilder began writing a farm column for her local paper, and Lane took it upon herself to become her mother's unsolicited writing coach. She would return over the years to borrowing or stealing stories from her parents' lives — including those Wilder planned to publish in a memoir and the Little House books — showing that Lane never drew from her own well to create stories but fed off and distorted the stories of others. Lane was obsessed with homes, a product of her childhood poverty and rootlessness, yet never bought her own. Instead, she rented and renovated homes during her travels in the U.S., Europe and Africa. After tiring from globetrotting, she returned to Mansfield, Missouri, kicked her parents out of their farmhouse, built them a new house on the back forty and commandeered their old house. During alternating periods of mania and depression, she castigated friends about their relationship choices while suffering from her own — she was a divorcee and had other affairs but refused to marry again — and even went so far as to start a smear campaign against FDR for his New Deal, calling him a dictator and comparing him to Lenin. She also fancied herself an expert in agriculture and commodities prices and predicted a book of matches would soon cost $25,000 — $463,000 in today's dollars. These are just a few of the strange facts enumerated about Lane. She died in 1968 at the age of 82, despite decades of predicting her death was just around the corner. A 23-page introduction to the book offers unsugarcoated historical context by examining Lincoln's Homestead Act of 1862, which was both a byproduct and sponsor of manifest destiny. It resulted in the slaughter and forced relocation of thousands of Native Americans in less than a decade, which is why Wilder in her "Little House in the Big Woods" book sentimentally describes the Minnesota woods as having "no people." There were about 50 Native Americans left in the vicinity at the time. After this intro, the biography zooms down into the lives of the Ingalls and the struggle of white settlers as they "pioneered" the frontier. If you're looking for a thoroughly engrossing read packed with historical details and drama, this book is for you. For more info on the Dakota circa 1862, see "Mni Sota Makoce: The Land of the Dakota."